Mr. Grady Floyd Story, age 84, of Lanett, Alabama passed away on Wednesday, December 5th, 2018 at his residence. Mr. Story was born in Thomaston, Georgia on September 9th, 1934 to the late Rufus Story and Vida Smith Story. He was also preceded in death by his brother, Herman Story, and his sister, Wynelle Wiggins. Mr. Story was a former resident of Upatoi, Georgia and he attended the Upatoi United Methodist Church. He graduated from Auburn University in 1962 with a Bachelor’s of Science Degree in Industrial Engineering. He went on to work for West Point Pepperell for many years and later retired from Johnston Industries, where he served as the Director of Information Technology. He was a member of the Langdale United Methodist Church in Valley. He is survived by his wife, Mrs. Betty Blackmon Story; daughters, Caron Finney, Cathy Senkbeil, Donna (Courtney) Henderson, Gina (Eric) Sims; siblings, Bobbi Watson, Plains, Georgia, Dorothy (Jesse) Lindor, Dallas, Texas, Mary Ann (Jimmy) Norman, Preston, Georgia, Johnnie Pardue, Dallas, Texas, Leroy Story, Plains, Georgia; grandchildren, Claire Finney, Zane Finney, Ian Senkbeil, Beau Senkbeil, Will Henderson, Sam Henderson, Emily Sims, Libby Sims; special caregivers, Christy Trammell and Lisa Trammell. Funeral services will be held on Friday, December 7th, 2018 at 2:00P.M. EST at the Johnson Brown-Service Funeral Home chapel in Valley with interment in Hillcrest Cemetery. The Reverend Rusty Tate officiating. The family will be receiving friends at the funeral home on Friday from 1:00P.M. EST until the service hour. In lieu of flowers, the family requests that memorials be made in Mr. Story’s memory to the Langdale United Methodist Church Barrel of Love Fund or to Compassus Hospice. 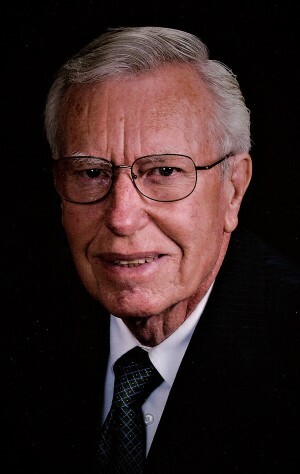 Please visit his Memorial Tribute page at www.johnsonbrownservicefh.com to leave a condolence for his family, share a memory of Mr. Story, or to light a Remembrance Candle in his memory. Johnson Brown-Service Funeral Home of Valley is directing.